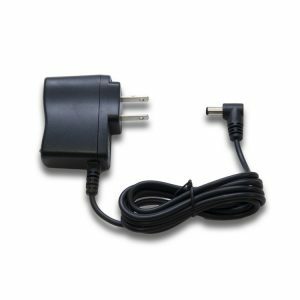 The PS14 is a 300ma, 14 Volt power supply for powering Digitrax accessories like the UP5, BDL168, DS64, SE8C, LNRP, UR90, UR91 UR92 and others. 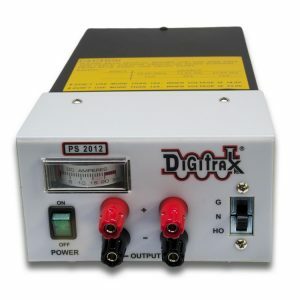 PS615 90W AC/DC 15VDC 6 amp power supply for use with all Digitrax Command Stations and Boosters operating at 5 amps. 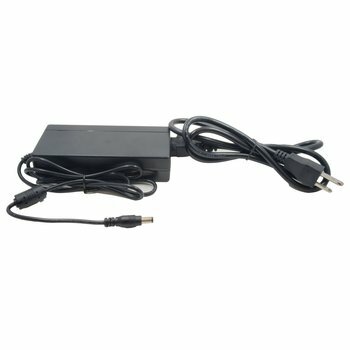 This big regulated power supply delivers more power with less heat for more efficient booster operation. 20 Amp PS2012 regulated powersuply is usable with all scales to operate up to 4 Five amp boosters. Note with the currency exchange rates fluctuating continuously, the Canadian prices shown on this website are subject to change. Copyright © 2019 the Dispatcher All Rights Reserved.